Los Angeles- 6blocc aka DJ R.A.W. aka B-boy 3000, is known for being one of the pioneers of the Stateside DnB and Dubstep movements and this September he’s taking his boombastic sound on the road for a 4 city tour in Mexico. With stops in Mexico City & Guadalajara as well as Aguascalientes & San Luis Potosi, this tour will be something that will definitely be something that Bass Music fans South of the Border won’t soon forget! Los Angeles- There are some people out there that simply aren’t afraid to put their heads down and put in the work needed to really establish yourself as part of the fabric of the society that we live in and DJ R.A.W. aka B-Boy 3000 aka 6Blocc (or simply Raul to those of us that know him..) is one of those people. 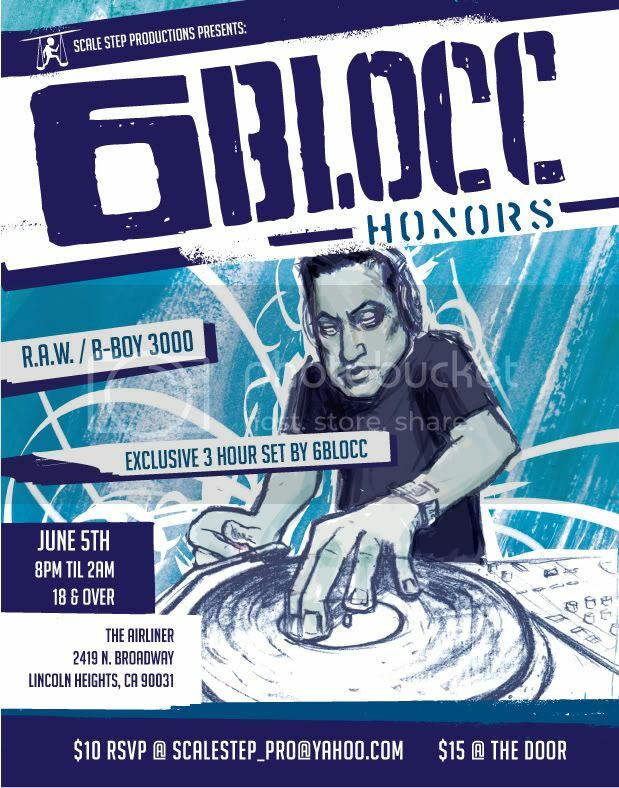 From the early days of the rave scene here in the US to present day touring around the world dropping bass heavy bombs on throngs of listeners that come to see him throw it down as only he can, R.A.W. is one of the hardest working guys in the business. 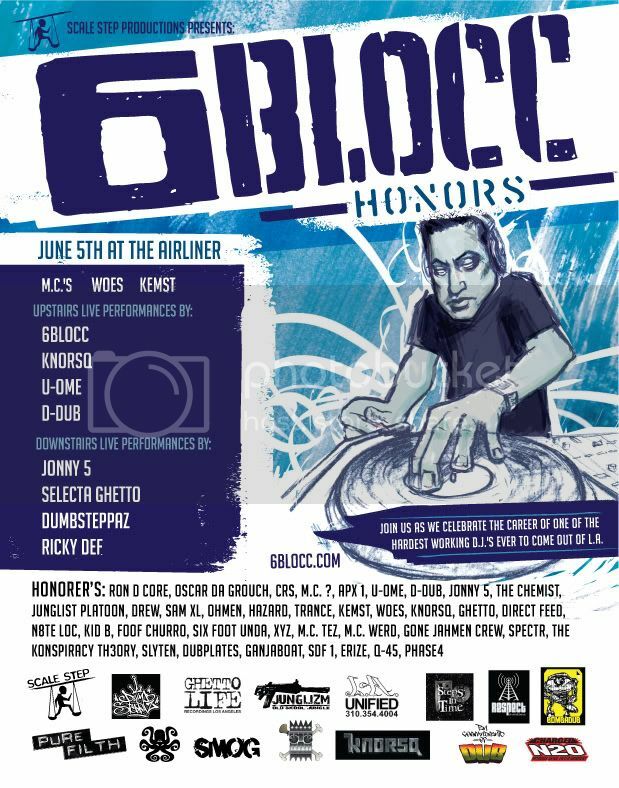 On June 5th, 2010, a collective of DJs, MCs, artists of all flavors and a ton of people that both know and love R.A.W. for the work he’s put in over the years, are gathering at The Airliner to honor all of his contributions including helping secure L.A.’s position as one of the top electronic music scenes in America and the world!